There will be a Bitcoin hard fork occurring on August 1st, 2017. The newly forked cryptocurrency, Bitcoin Cash (BCC), will be traded on several exchanges and will be supported by hardware wallets including Ledger and Trezor. Bitcoin will be redeemable on a 1:1 basis with Bitcoin since it is a clone of the original Bitcoin blockchain. This means that if you have 10 Bitcoin before the hard fork, you will receive 10 Bitcoin Cash after the hard fork. To ensure access to BTC after August 1st, move your Bitcoin into your Ledger hardware wallet before August 1, 2017. BCC, also known as Bitcoin Cash/ABC/UAHF, is a hard fork of the Bitcoin blockchain. 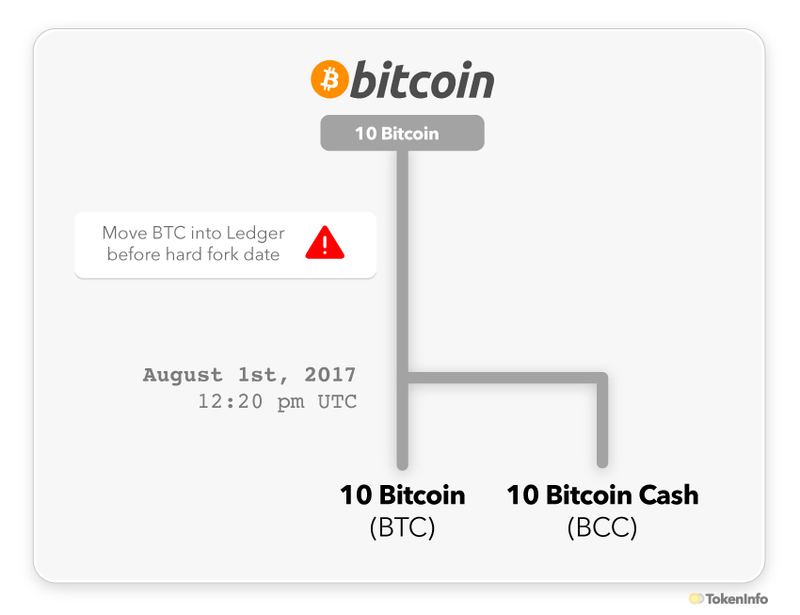 If you currently own 10 Bitcoin, then after August 1, you will have your 10 Bitcoin and 10 of the forked coin, Bitcoin Cash if your Bitcoin is stored with a provider that will support BCC such as Ledger. How Much Is BCC Worth? Bitcoin Cash is currently trading on futures markets at close to $400 per coin. Ledger has stated that they will provide a tool to assist Nano S and Blue customers to split their Bitcoin balances into BTC and BCC. No release date has been announced as of yet. If you store your Bitcoin on Coinbase and you want both BCC and BTC after August 1st, you must transfer your Bitcoin into your Ledger before August 1st. If you do not want Bitcoin Cash, no action is needed and you may continue storing your Bitcoin using your preferred method.